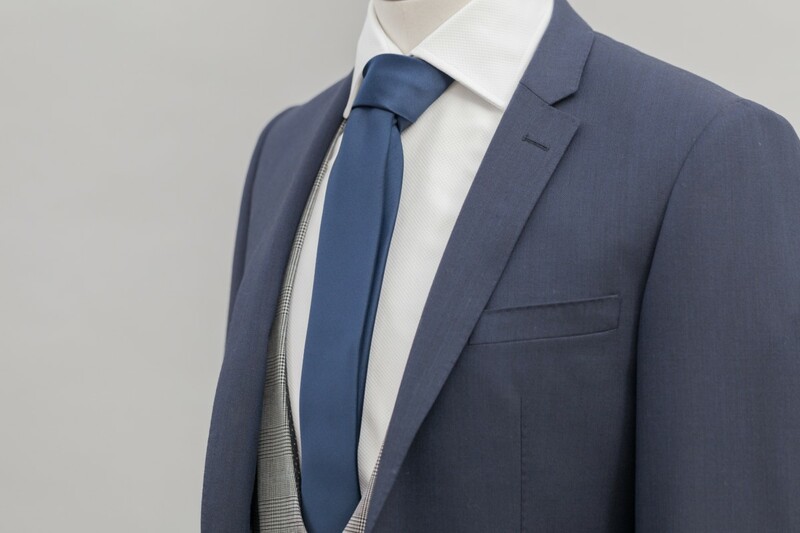 Hire Class by Remus Uomo, Navy tapered fit wool-blend suit, single breasted, two button with modern flat fronted trouser. 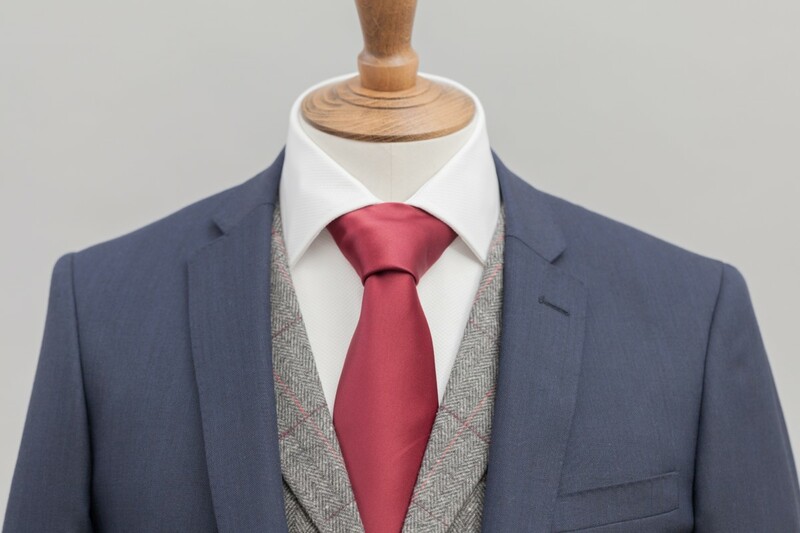 Can be worn with matching waistcoat or choose another from our exclusive range. 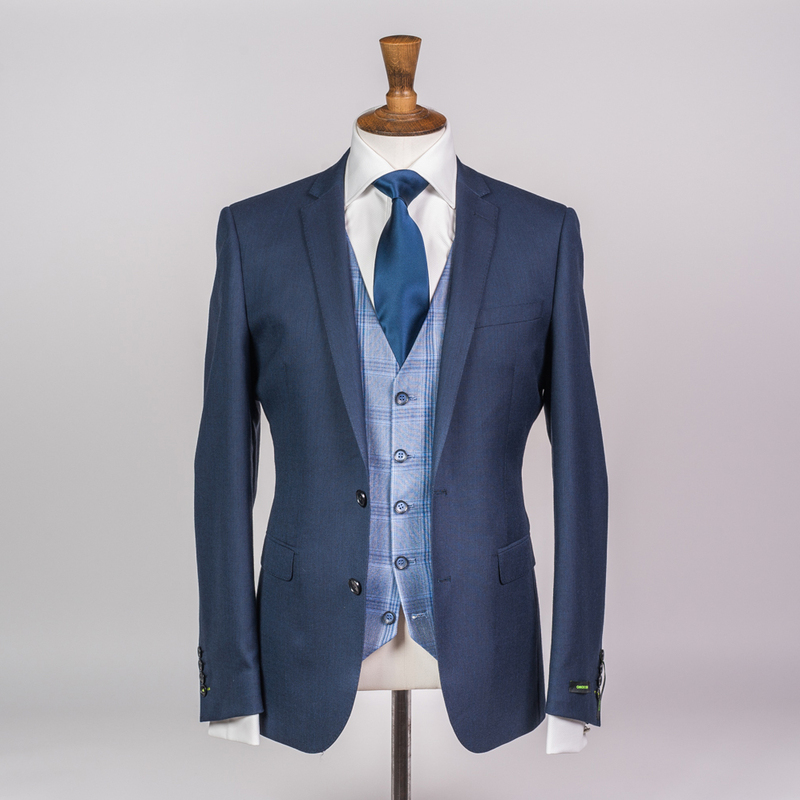 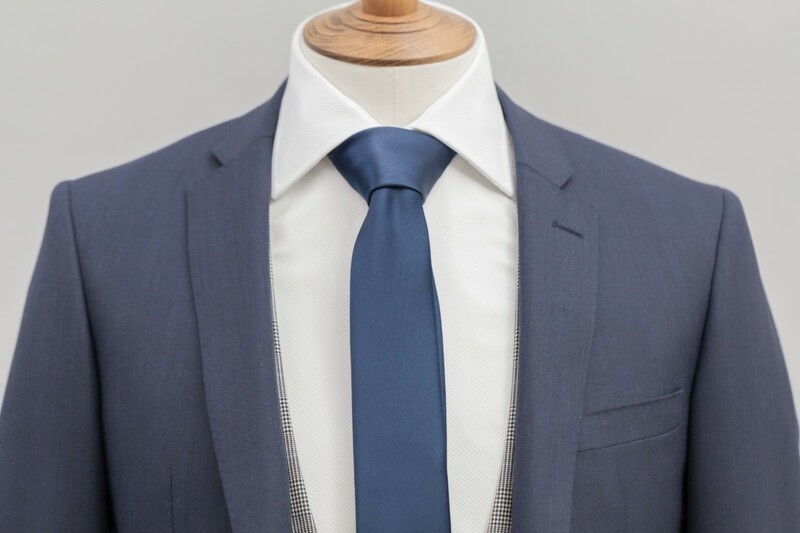 The tapered fit is available to hire or buy, and the slim fit is also available to purchase. 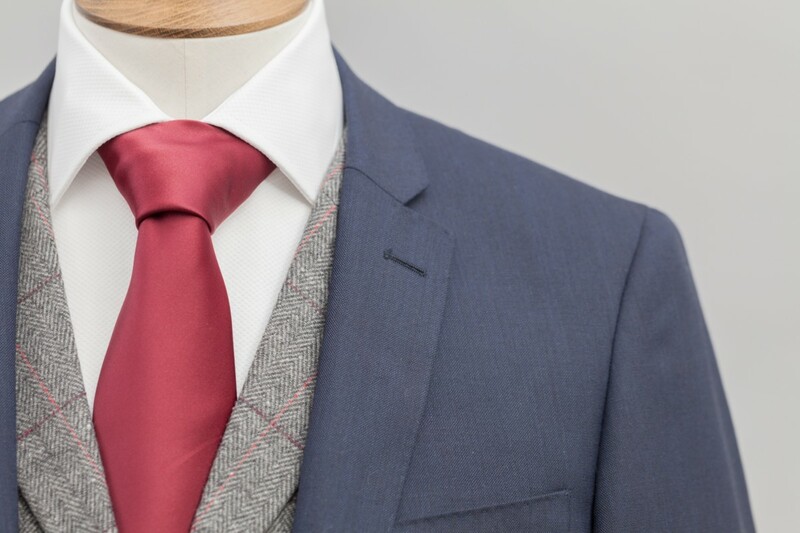 This suit is also available in grey.